Solid Free Form (SFF) fabrication, also known as Rapid prototyping (RP) or Layered Manufacturing (LM), creates arbitrary 3D shapes directly from Computer-Aided Design (CAD) data. It has been around for two decades now. From its early age it demonstrated tremendous advantages for the Computer-Aided Manufacturing (CAM) industry compared to traditional manufacturing methods such as CNC machining or casting. The venues for exploration appeared endless until users started to hit a ceiling; the name ‘rapid’ became almost ironic because the layering process is a very slow one, the palette of materials to handle is limited and the advertised label ‘net-shape’ is ‘near-shape’ – on a lucky day-. We are now over the hype of SFF, RP and LM but still have needs to create heterogeneous structures that have intrinsic multifunctionality. The Multifunctional Materials Manufacturing Lab in Loughborough University works on new manufacturing methods that allows a truly free form fabrication and the engineering of composition and structure for the creation of materials that are smart, responsive to their environment and possess synergistic properties that enhance their behaviour. These types of high performance materials offer great promise in fields such as bioengineering and transport (i.e. automotive and aerospace). Is DIY a western thing? 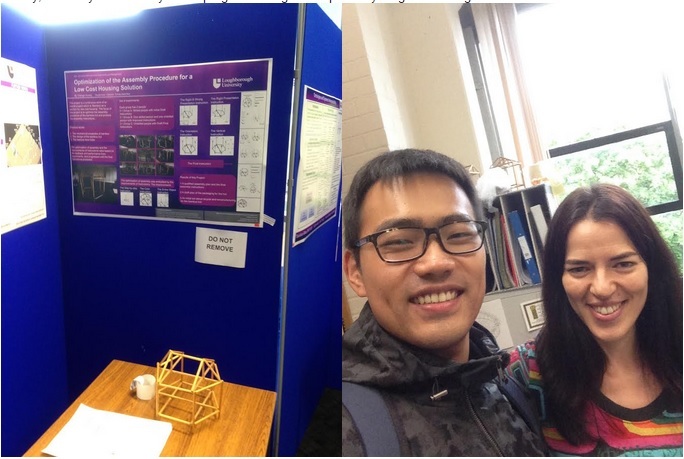 Changxi Huang has been working on the bamboo hut project as part of his MSc project. 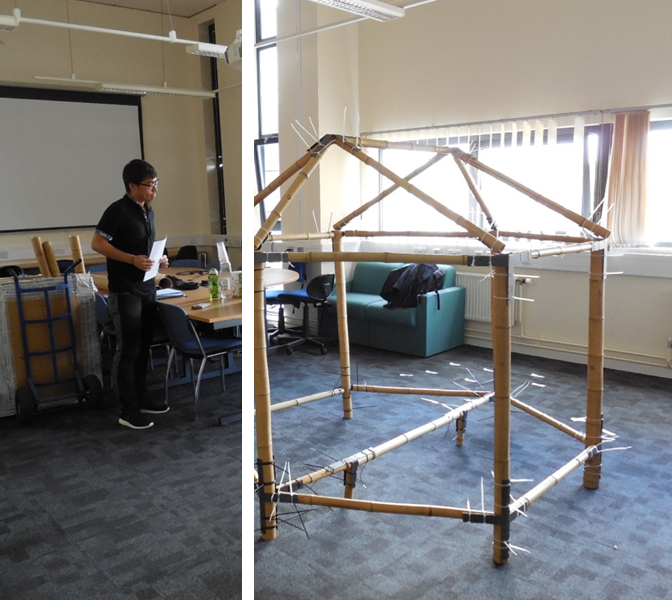 His work has focused on the optimisation of the procedure for assembling the hut and looking for ways of best presenting the assembly instructions to those who can’t read instructions or have no previous knowledge on building huts. He ran experiments with participants from different walks of life and, most importantly, from western and far east countries. One of the main points of discussion of his dissertation is based on his observations on the approach that western nationals have towards do-it-yourself products versus that of Far East countries citizens. In countries like China, assembling a product (a table or a chest of drawers) is left to those who perform that job for a living. On the contrary, the B&Q-isation or the IKEA-ising of western countries has made our exposure to self-assembly furniture and products an activity of our everyday life. Could this have an effect on our cognitive ability to understand instructions and our dexterity to carry out such assemblies? 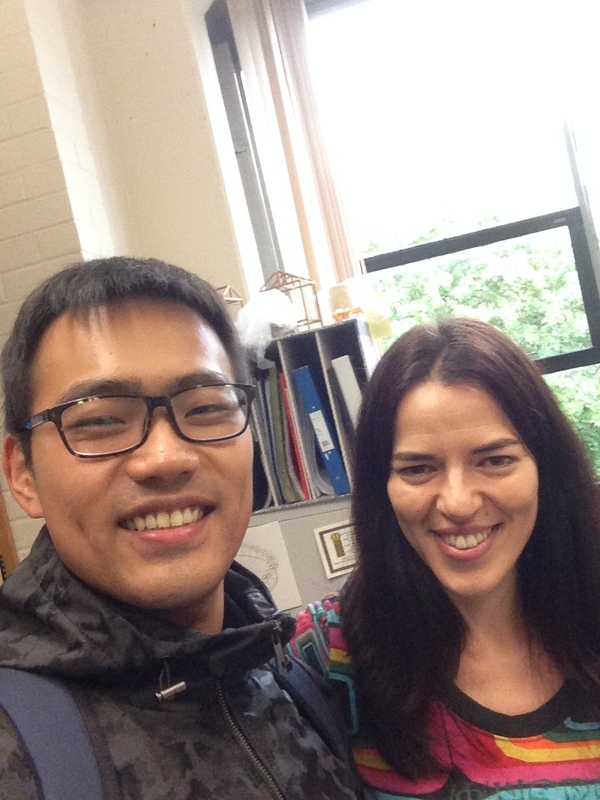 Huang has successfully finished his MSc course and is going back to China for a most deserved rest. Well done, Huang! I am so very excited about my good news. Today I take on a new role at Loughborough University. It is a mixture of excitement for the challenges ahead and also an emotional farewell to Heriot-Watt. My trajectory at Heriot-Watt spans almost 10 years, as I have been there a postgraduate student, a researcher, a teaching fellow and a lecturer. I am very grateful to the institution for so many opportunities given to me throughout the years, to the extreme that I considered the campus my home and some of my colleagues as part of my own family. Today I join the Wolfson School of Mechanical and Manufacturing Engineering, one of the flagships of engineering in the UK’s research and knowledge transfer arenas. I am very proud to become part of the Additive Manufacturing group, led by Professor Russell Harris. I will continue working in the areas of design & manufacture of engineered materials, on their biomimetic aspect, and on the sonication technology for the modification of structures and textures. My interactions with industry and carrying out ‘research that matters’ are a major drive for my academic activities. These will continue, and grow, with my move to Loughborough. I am looking forward to working along with my new team, my prospective students and continue collaborating with my current and soon-to-be industrial partners. The Baker Hughes Diversity Award is a prize to those students who have shown a sustained remarkable performance in Engineering Design that fits with the company’s ethics and Core Values of integrity, teamwork, performance and learning. The 15 shortlisted students were (in no particular order) Benjamin Rayer, Ross Bonallo, Stuart Heyman, Craig Morgan, Gareth Norquoy, Anthony Wainman, Christopher Balmer, Tom Peters, Gary Hepburn, Garry Steel, Mathias Dalli Gonzi, Ross Flavell, Iain Brown, Karl Blacker, and Scott Inglis. It has been very difficult to pick only 3 names and put them forward for the prizes. The performance of each one of them has been excellent this semester. 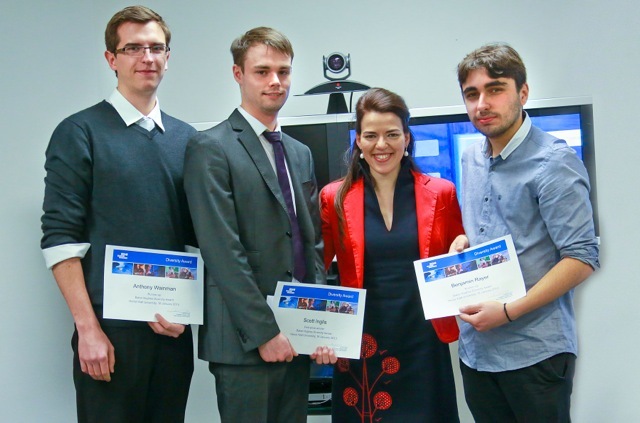 It was for many, if not all, the first time they were faced with a real life project, with a real client and a tight timeframe to deliver a solution, or a prototype, and they have risen to the challenge, and made the University proud. Feedback we are getting from their clients has been very complimentary and flattering. The three people selected for the prizes were: (Winner) Scott Inglis, (runner ups) Benjamin Rayer and Anthony Wainman. Special thanks to Caroline Baker (from Baker Hughes) for making this Award possible.